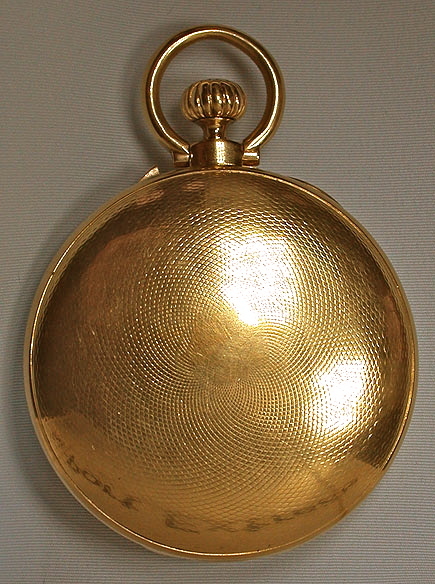 Fine and rare John Roger Arnold early stemwind 18K gold antique pocket watch circa 1827. 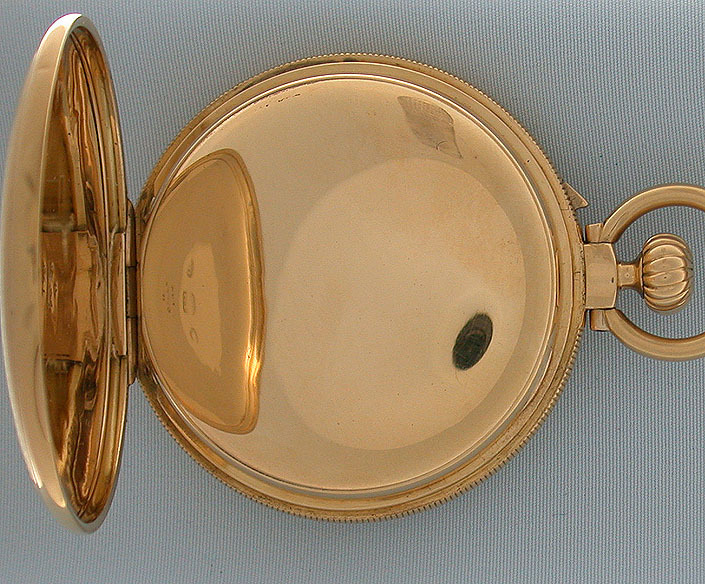 Heavy engine turned case (even pocket wear) with button in the coin milled band to open the spring-hinged cover. Fine silver Breguet style engine turned dial with blued steel hands. 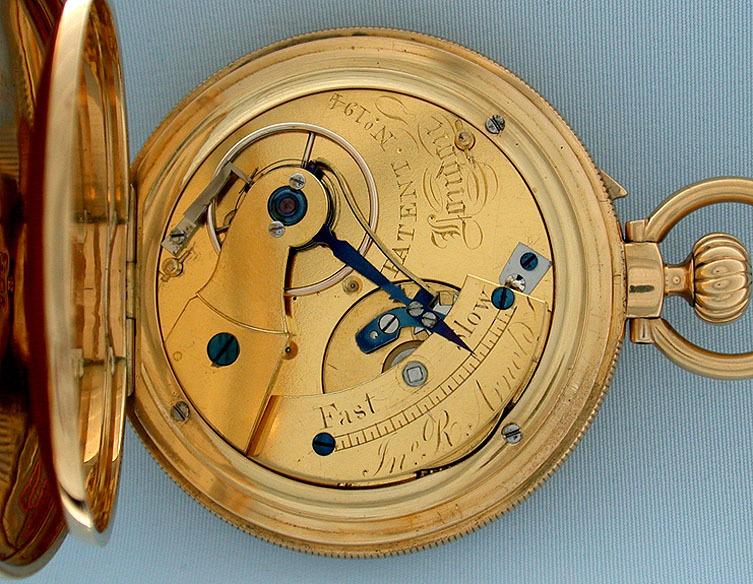 Fine gilt 15 jewel lever movement with gold balance, giant regulator, unusual temperature compensation curb, and an early form of Priest's keyless winding. 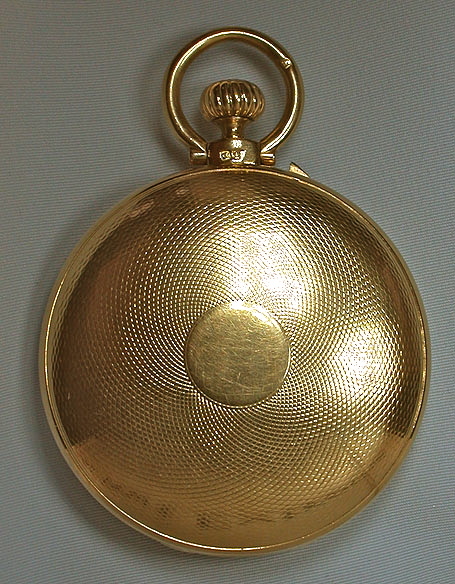 The crown of this watch winds in one direction only and the hands are set manually. For a period of time Thomas Priest worked as a foreman for Arnold. 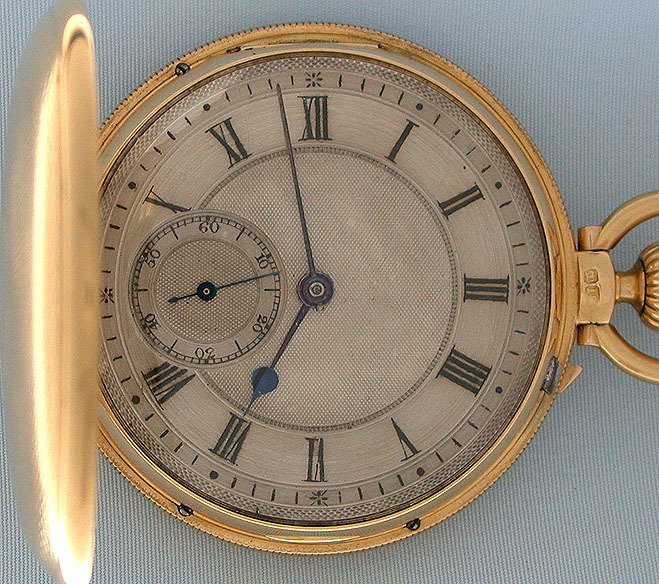 John Roger Arnold was born in 1769 and served an apprenticeship with both his father (the famous watch and clockmaker John Arnold) and the eminent French watchmaker Abraham Louis Breguet. He became Master of the Worshipful Company of Clockmakers in 1817. In 1787 he and his father founded the company Arnold & Son. After his father's death in 1799, John Roger continued the business taking John Dent into partnership from 1830 to 1840. After his death in 1843 the company was bought by Charles Frodsham.